A taste of Italy in Salisbury! 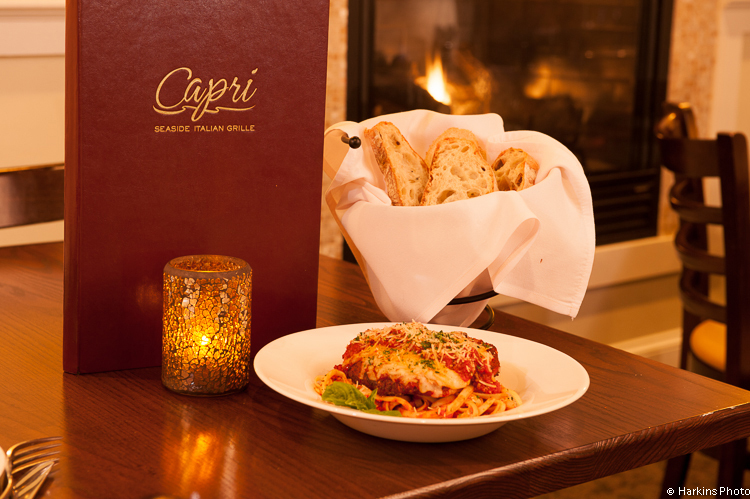 There is nothing better than a good old fashioned Italian supper and at Capri you’ll find the comforts of home while dining out. 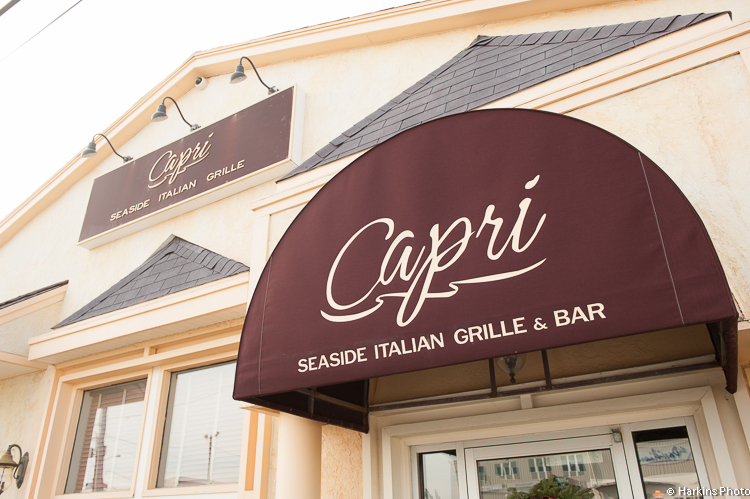 With an emphasis on Italian and Mediterranean cuisine and a focus on fresh ingredients, Capri offers a feel-good experience for everyone in the family. At Capri, food is the priority. With a large menu full of delicious Italian dishes, you are sure to leave feeling happy and with a full belly. All ingredients are local or imported and they pride themselves on authentic Italian cooking. The recipes are prepared from scratch and they embrace cooking traditions and make it feel as though you are eating with family. Some favorites are haddock piccata, veal saltimbocca or a new addition to the menu, thin crust pizzas! Acclaimed chef Harley Smith uses his years of cooking experience to bring fresh, gourmet Italian & Mediterranean food into a cozy, welcoming atmosphere. Just a stone’s throw from the ocean, Capri is located right in the heart of Salisbury making it an ideal location for after dinner strolls by the water or bringing the kids to the nearby arcade! Present your Best of Newburyport VIP Card and receive $5 off a dinner entree, one entree per VIP Card.